Logis Media – Are you breaking Facebook competition rules? 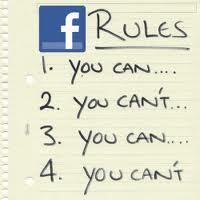 Logis Media / Blog / Are you breaking Facebook competition rules? I’m compelled to write this as yet again today I see my personal newsfeed cluttered with businesses inviting me to ‘Like’ and ‘Share’ to be in with a chance to win a prize!!! I am shocked at how many business page admins are using this tactic to increase their fanbase as they are breaking the Facebook competition rules. Facebook are very strict about their promotion guidelines. I would suggest that every page manager take the time to read them and realise that their current strategy could get them into hot water with Facebook. Are you breaking the rules with promotions on your Facebook Page? But everyone is doing it… Am I really at risk? If you ask me, it’s not worth it. So how can you run a promotion on your page while remaining within Facebook’s Promotions Guidelines? 2. Use the new ‘Pin a Post’ timeline feature – this fixes the post at the top of your timeline. The post will remain there for seven days. After that, it’ll return to the date it was posted on the page’s timeline. Anything you pin will be seen first when someone visits your page. If possible, make sure your pinned post includes pictures. 3. Use a third party application. There are many suitable apps to run promotions from free to fee. Wildfire, Shortstack and NorthSocial are popular ones. 4. All promotions MUST include a Facebook release, acknowledgement and participant disclosure. A simply worded Disclaimer, like below, will ensure compliance within the guidelines. You CANNOT use Facebook features or functions to gain entries into the promotion other than liking a Page, checking in to a Place, or connecting to your app. Lastly, you MAY NOT notify winners through Facebook via Facebook messaging or posting on Facebook Walls. So, when setting up the promotion, ensure you include data collection of email address or similar on the App, to establish communication with winners. I hope that this helps to demystify the whole Facebook promotion rules issue! What’s your experience of running Facebook competitions?